I will tell you two stories. These short stories will give you pieces of advice that I try to use in my everyday work life. They bring to light a mindset, a philosophy, that I genuinely believe that you can apply to produce more original and higher quality work. Let’s begin with a story about an art teacher’s experiment, a story I first heard told by Ken Norton. An art teacher decided one year to conduct an experiment. At the time, she was teaching two pottery classes. In class “A” she used her typical teaching style: She told the class that their grade would be based on the quality of their work. At the end of the semester, the students were told to hand in their best piece of pottery to be graded on. The better the technical skill, the better the grade each student would receive. In the second class, she applied another approach. 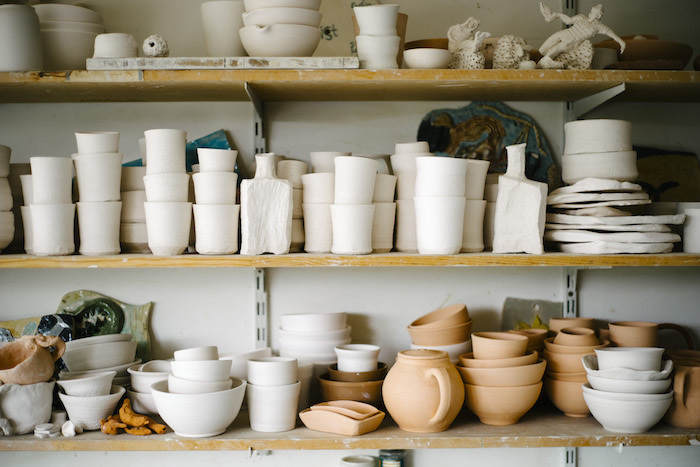 She told the students that their job that semester was to produce as many pots as possible and that the students would be graded on the amount of pots created. If the students made a 100 pots, they would receive an A, 50 pots they would receive a B, and so on. By the end of the semester, she found something remarkable. The works that showed the highest technical abilities, and the greatest artistic sophistication were not produced by the class that aimed for quality, they were created by the group who focused on producing the most pots. “That’s really nice. That’s completely crazy. But I like the way you think”, in a“I’m-busy-please-get-out-of-the-room” kind of a tone. Hampus who had just been to the bathroom walks into the situation and overhears the conversation. He quickly realizes who the person is: It’s Sergey Brin. Sergey leaves the room. With the realization that they’ve just insulted a Google founder, the team is petrified. “It’s time to pack our bags”, they think. So, what can we all learn from these two short stories? To me, both of these stories tell us that the pursuit of quality, skill and innovation doesn’t come from striving for perfection, it comes from the relentless pursuit of trying and learning. We should strive to stop worrying about the potential imperfections of our work, and stop having anxiety of what others will think. Instead we should have the same mindset as the Google founders and the art students. 1 pot out of a 100 will be exceptional. 1 idea out of a 1000 can become the next Google Maps or Android. If we apply the same mindset and philosophy, we can also achieve greatness. Dennis and I tell stories like these and lots more during our podcast #slowtofast — a podcast on product development. Listen to our first episode.